The FDA-cleared Sublime™ treatment by Syneron/Candela offers virtually painless and fast treatment for wrinkles and skin contouring and tightening. Conventional skin treatments are time - and treatment - intensive and often too painful for many patients. With Sublime™, patients can have firm and contoured skin without surgery. Sublime™ is ideal for targeting those telltale signs of aging, including sagging under the eyes, saggy brow lines, and nasolabial folds. Sublime™ combines safe and effective levels of infrared light and bipolar radiofrequency energies to remodel the dermal layer of the skin by stimulating new collagen growth. Sublime™ exclusive combination of energies provides ideal treatment outcomes with a very low risk of side effects and virtually no down-time. With Sublime, the combination of optical energies and bipolar RF create a synergistic effect that allows for lower treatment levels of both the RF and the optical light, reducing the risk of side effects associated with each. Bipolar RF facilitates deeper dermal treatment to stimulate collagen production, which leads to skin tightening. 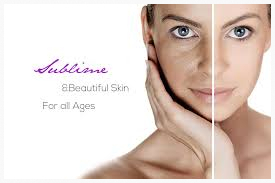 Sublime™ can safely treat all skin types for sagginess, loss of elasticity, or textural irregularities. Treatment can be done on the face, neck, or other areas of the body. Most patients see gradual and cumulative results throughout the Sublime™ treatments. The total number of required treatment sessions depends on the patient’s skin condition but typically a series of three to five consecutive treatments are recommended for maximum results. Discounted packages are available and may include home care products or other treatments combined to deliver maximum results. Contact the experts in Sublime Skin Contouring and Tightening in Palm Harbor, Safety Harbor, Clearwater, Tampa, Dunedin, Tarpon Springs, Trinity, and New Port Richey Florida. It’s a fact of life: as we age our skin loses its ability to retain moisture and its elasticity. With Matrix IR™, we can gently stimulate the skin with gentle and precise heating of the connective tissue to stimulate collagen production. The Matrix IR bypasses the superficial layer of the skin and penetrates up to 2.5mm to stimulate the fibroblasts which make new collagen. The new collagen production assists in wrinkle reduction and skin tightening. Using elos™ fractional technology, Matrix IR is able to provide great results without any downtime. Possible results include (but are not limited to): Producing a firming effect in sagging skin, Mild to moderate wrinkles are resolved, Skin texture becomes smoother and more elastic. How Does the Matrix IR Treatment Work? 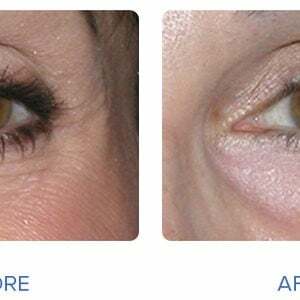 Matrix IR is a revolutionary wrinkle reduction treatment that utilizes elos technology that can minimize mild to moderate wrinkles in both women and men, while simultaneously making the skin’s texture smoother and more elastic. Unlike laser procedures of the past, which had horrible side effects and long recovery periods, Matrix IR is a safe and effective non-invasive procedure with a very low risk of side effects and no downtime. Temporary pinkness in the skin lasts a very short time. And most people return to work or normal activities immediately after the treatment. ANY medical laser procedure has risks of side effects such as superficial blistering, crusting, and pigmentary changes in the skin. These risks are rare and usually quickly resolve. The Matrix IR incorporates several technological advances that focus on patient safety to minimize these risks and provide greater satisfaction. The laser hand piece is also cooled for skin protection and comfort during the procedure. The FDA-cleared Sublime™ treatment by Syneron/Candela offers virtually painless and fast treatment for wrinkles and skin contouring and tightening. With Sublime™, patients can have firm and contoured skin without surgery. Sublime™ is ideal for targeting those telltale signs of aging, including sagging under the eyes, saggy brow lines, and nasolabial folds. Before and after Sublime skin tightening treatment. Conventional skin treatments are time and treatment intensive and often too painful for many patients. With Sublime, the combination of optical energies and bipolar RF create a synergistic effect that allows for lower treatment levels of both the RF and the optical light, reducing the risk of side effects associated with each. 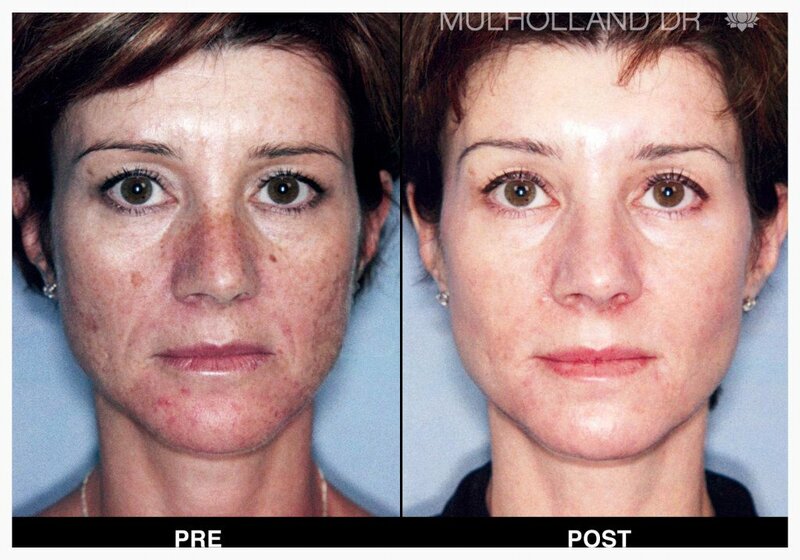 Bipolar RF facilitates deeper dermal treatment to stimulate collagen production, which leads to skin tightening. Our Elos Plus Laser is the first and only skin tightening technology that uses combined energy to lift and tighten the skin. 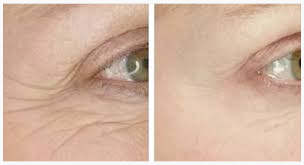 Diminish fine lines, wrinkles, sagging skin. Works great on aging necks, which is the first sign of aging. Soften lines around the eyes with no downtime! 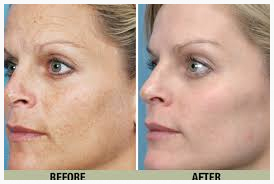 Sublime Skin Tightening for optimal results includes a series of 3 treatments, 4 weeks apart. Results can be seen in a little as 6 weeks. Prices below are per-treatment.Call us 727-238-8559 for package and seasonal specials on your customized personal treatment plan. Example package would include everything you need for 3 treatments, face and neck skin tightening results, and products bundled at value pricing. Contact the experts in Laser Skin Tightening in Palm Harbor, Safety Harbor, Clearwater, Tampa, Dunedin, Tarpon Springs, Trinity, and New Port Richey Florida. The Sublime™ treatment combines safe and effective levels of infrared light and bipolar radiofrequency energies to remodel the dermal layer of the skin by stimulating new collagen growth. Both laser and radiofrequency have been used separately for decades in medicine and surgery, but the Sublime™ exclusively combines infrared light and bipolar radio-frequency energy for ideal treatment outcomes with a very low risk of side effects and virtually no down-time.